Published Oct. 1, 2018 at 11:26 a.m.
With the Milwaukee Brewers heading to the playoffs for only the fifth time in the franchise's nearly 50-year history, the focus, of course, is on winning. 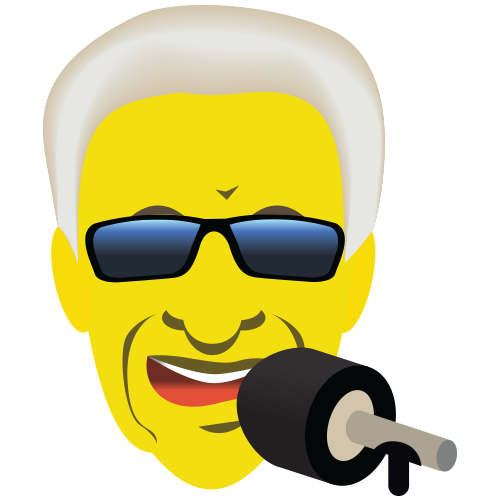 But with the Brewers in the nationwide spotlight, some much-deserved light is shining back on the team's career radio voice, 83-year-old Bob Uecker. Thanks to the team's impressive run into the playoffs, the always entertaining, always self-depreciating Uecker is now being introduced to new generations. So here are 17 quick facts that you may not know about Milwaukee's very own "Mr. Baseball," Bob Uecker. Before Jimmy Fallon, a guy named Johnny Carson hosted "The Tonight Show" – and he must've been a big Bob Uecker fan, because the broadcast legend was a guest of Carson's more than 100 times. Right before "Mr. Belvedere" (see below) made its premiere, Uecker hosted "Saturday Night Live." Despite the all-star cast (including Martin Short, Billy Crystal, Harry Shearer, Christopher Guest and Julia Louis-Dreyfus) the episode is not considered one of the show's finest – but hey, at least nobody came dressed up like bottled water. OK, maybe it looks less like dancing and more like starting a finicky chainsaw, but when you're Bob Uecker, you celebrate a playoff spot however you damn well please. Uecker was inducted into the Wisconsin Athletic Hall of Fame in 1998. And fittingly, he was inducted by his friend and former Brewer Robin Yount. He's also in the ACTUAL Baseball Hall of Fame in Cooperstown, but this is the one that matters the most, obviously. 6. He was a TV star with "Mr. Belvedere"
Uecker starred in the TV series "Mr. Belvedere," which lasted for six seasons in the late '80s. British actor Christopher Hewett, who had the lead role in Mr. Belvedere from 1985 to '90, passed away this summer at age 80. His book "Catcher in the Wry" was published in 1989. Ueck's a Milwaukeean! The broadcaster graduated from Milwaukee Tech High School and was an exceptional high school athlete. In fact, he grew up watching the Brewers play at the old Borchert Field. And now he's made a career of watching the Brewers play. 10. 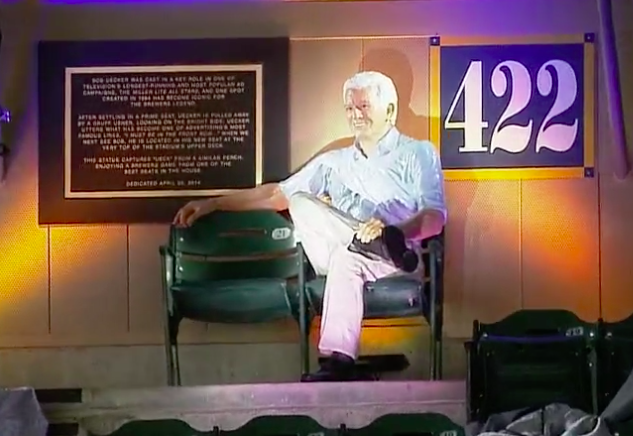 He's Harry Doyle from "Major League"
Tom Berenger, Charlie Sheen and Wesley Snipes may be at the top of the credits – and Milwaukee County Stadium gets to home field to our ragtag heroes – but Bob Uecker was definitely the star. His portrayal of sportscaster Harry Doyle in the movie "Major League" was easily the highlight of this classic 1989 sports movie. Ueck loves to fish – including at regular Make-A-Wish Foundation of Wisconsin charity fishing tournaments. "I knew when my career was over. In 1965, my baseball card came out with no picture." And it was pure comedy gold. No matter the sports, Uecker is a treat. He starred in Miller Lite "All Stars" ads in the '70s and '80s in which Uecker would proclaim, "I must be in the front row!" – only to get sent to the cheap seats. They're the best worst seats in all of baseball. ... with the Cardinals. Which tells you how great and wonderful of a personality he is that Milwaukee still whole-heartedly embraces him. Uecker called a World Series loss for the Brewers in 1982, but it only seems right to give him the ultimate winning call. And maybe this is the year he gets it. Go Crew!